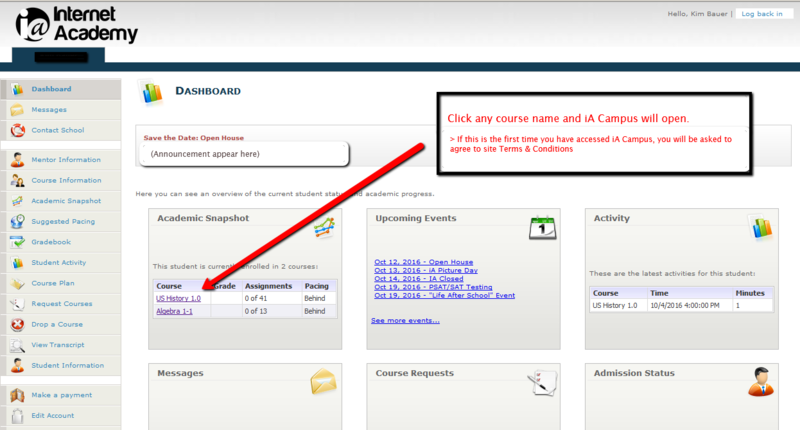 Click any course in the Academic Snapshot and the IA Campus dashboard opens. To view student classes in real-time, parents and guardians should use the iA Campus Parent / Guardian account that was used to complete registration. Observer privileges are added to the account 72 hours after student enrollment is complete. Refer to the Canvas Observer Guide for detailed information. But note – certain topics, such as ‘How to Create an Observer Account’ – are configured differently in your iA Campus account. 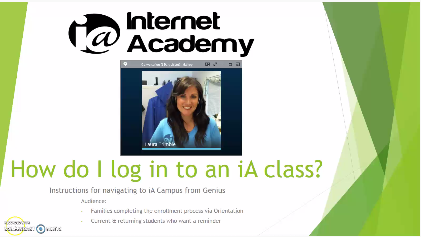 If you have any questions, don’t hesitate to contact us at help-desk@iacademy.org for further support. Courses are in alphabetical order. 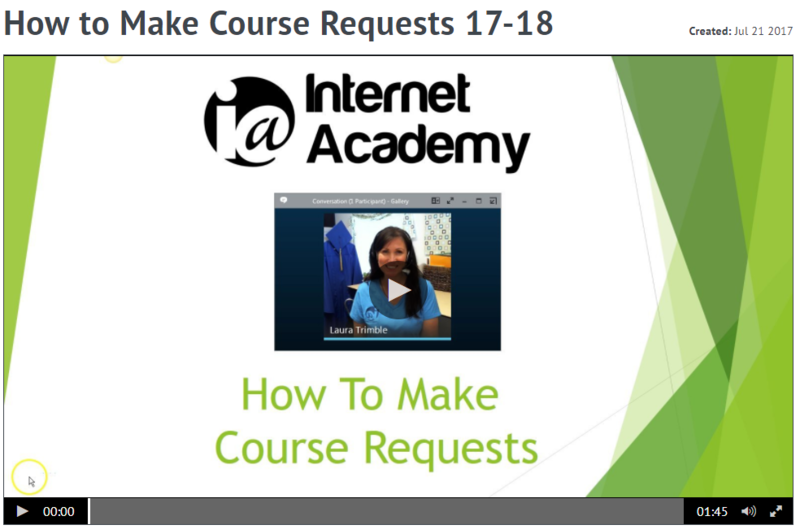 Check the course(s) you want to request (multiple courses can be selected at one time). A confirmation box will pop up and you can log off. Not sure what to request? View a SAMPLE SCHEDULE > > And don’t worry, we’ve got your back. Family course requests for full-time iA students are all reviewed by our Graduation Support Specialist to make sure the student is enrolled in the right classes to meet WA State Graduation Requirements. Getting a session expired, improper credentials or similar error message that won’t allow you to log in? All online learning systems are designed with safeguards to protect student progess. One of the ways this is done is through a small file (called a “cookie”) that is stored in the web browser at the time of log in. As long as the student is signed in, this file will not allow a student to log in again through another window or tab (to prevent work loss or duplication). If the “cookie” file is still active, you will receive an error message and be unable to log in. This may be because a session is open in another browser tab or window, or the student did not log off in an earlier session, or the file did not shut down properly. Shut down your web browser entirely. Restart and Do Not restore a previous session. You should be able to login now. Don’t have a second browser? Try opening a new “private” or “incognito” window. These settings will bypass cookies. Shut the computer down. Count to 10 after all lights have gone off. Restart. Students should log off any learning system completely at the end of every work session.